Guarented, a Bengaluru-based online platform that rents and sells refurbished appliances and furniture, has raised an undisclosed amount in a pre-Series A co-investment round from early-stage investment platform Mumbai Angels Network and investment syndication site AngelList. The startup will use the money to strengthen its technology capabilities, accelerate marketing innovation, offer new product offerings and to expand to newer cities across India, it said in a statement. Guarented offers appliances such as televisions, washing machines and microwave ovens, and furniture products including beds, sofas and dining tables on rent. It also sells brand new furniture and second-hand appliances. Guarented was founded by IIT Kharagpur alumni Harshwardhan Raikwar, Prateek Agrawal and Abhimanyu Dikshit in 2015. The startup addresses the issue of product quality of second-hand goods by displaying their actual condition on the marketplace. It offers users multiple options such as renting, renting to own, buying and buyback. “Our core value proposition is the refurbishment that we are doing. We add huge value in the products when we refurbish. Customers buy from us because we are affordable, flexible and reliable," co-founders Dikshit and Agrawal said in the statement. 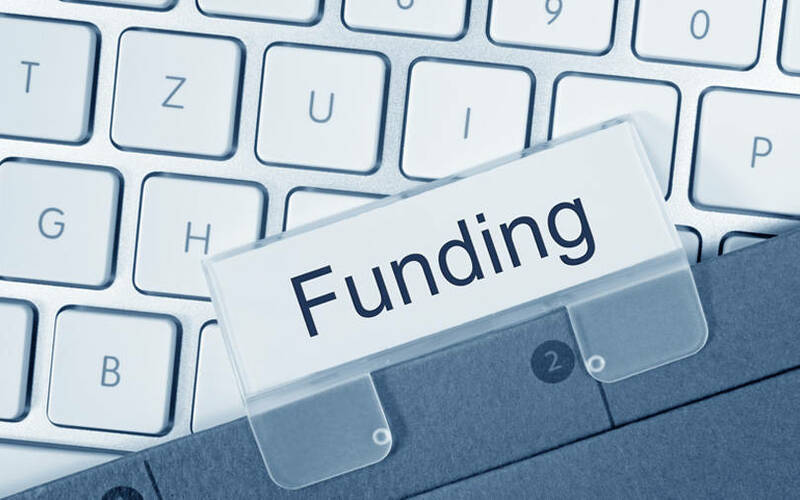 The company had previously raised funding from venture capital firm Kalaari Capital's seed programme KStart Capital and Aneesh Reddy, co-founder and chief executive of software-as-a-service firm Capillary Technologies. “The rental and sharing economy is one of the key trends that we are extremely bullish on. We also see strong investment interest from the next level investors, whether funds or family offices or strategic investors for companies that have demonstrated strong traction, execution capabilities and understanding of changing consumer behaviour,” said Nandini Mansinghka, managing director and CEO of Mumbai Angels. The investment platform comprises of over 350 members spread across seven chapters. The network currently has a portfolio of more than 130 startups and has recorded over 30 exits. Silicon Valley-headquartered AngelList is a crowdfunding investment platform. It launched its syndicate programme in India in January last year. The syndicates allow experienced technology investors to create a single VC fund that raises money from institutions and leading angel investors. The company had roped in a number of syndicate leads including Freecharge founders Kunal Shah and Sandeep Tandon; Ash Lilani, co-founder and managing partner of Saama Capital; KStart Capital, the seed investment platform of venture capital firm Kalaari Capital; and Shalini Prakash, venture partner at 500 Startups. The recommerce space has been gaining considerable momentum over the years. Several startups including InstaCash, Cashify, and Yaantra, involved in the business of selling or renting used or old electronic products including smartphones and laptops, have raised significant venture capital investment. Last week, TechCircle reported that reverse logistics and recommerce company Greendust is pulling back its business-to-commerce operations to focus on a business-to-business model. The company is moving away from an inventory-led model to a firm focused on technology-enabled services and solutions in reverse logistics, primarily because the B2C model was working capital intensive. However, the company will continue to provide liquidation-as-a-service (selling returned and refurbished goods) to its partners without taking inventory ownership. It operated an online shopping site that offered customers and bulk buyers the option to purchase unused, branded open boxed, surplus, overstocked and refurbished products at low prices. The products that the company sold included laptops, mobiles, mobile accessories and home appliances. GoZefo, another startup in the second-hand goods space, had raised around Rs 21 crore (close to $3 million) in October last year. Walmart-owned Flipkart had launched a refurbished goods marketplace named 2GUD in August 2018 to sell second-hand smartphones, tablets, laptops and other electronic items. Flipkart’s direct competition Amazon India also sells refurbished phones, laptops and small electronics through its Certified Refurbished category as part of Amazon Renewed. The platform had also opened up a C2C portal ‘Local finds’ in 2017. Similarly, ShopClues had announced selling refurbished smartphones through its portal.